Just in time for spring, this class is going to be spent painting, stamping & personalizing a Wood sign using FAT Paint and Iron Orchid Design products just to your liking. Bring a friend and lets get crafty – these will look darling outside your front entrance! This is a great class to learn some more skills and take home a sweet decor piece. 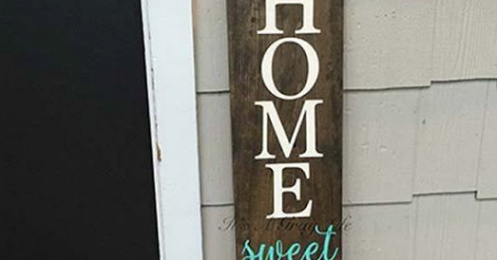 Bring a friend and lets get crafty - these will look darling outside your front entrance. Classes fill up quickly so don't wait.